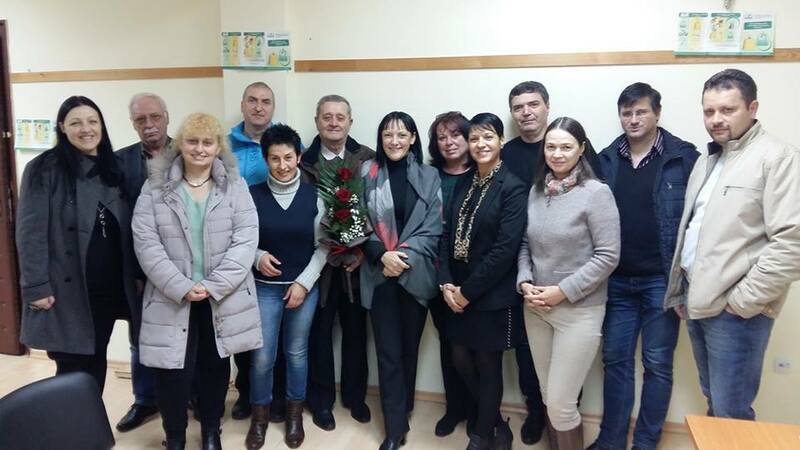 On 8 February, trade union leaders from the organization at Sofia’s metro operator ‘Metropoliten EAD’ met with the president of the Federation of Transport Trade Unions in Bulgaria (FTTUB) Ekaterina Yordanova at FTTUB headquarters. During the meeting, the FTTUB team reviewed FTTUB’s 2018 priorities, the important campaigns and the key events that are ahead. Among the campaigns, the ETF’s ‘Fair Transport’ 2.0 campaign received special attention. In her speech, Ekaterina Yordanova highly appreciated the role of the organization at ‘Metropoliten EAD’ in negotiating better incomes and working conditions in the Company’s CBA, which was signed at the end of last year. The organization’s leader, Tatiana Patchkova, presented the main tasks that her activists are facing this year. “Ours is the largest trade union organization at ‘Metropoliten EAD’. Nearly 70 per cent of the company’s employees are our members. That is why we are discussing the necessity of restructuring into a trade union of our own, once again affiliated to FTTUB, with separate organizations as key members, which will improve the internal communication and will ease our work “, commented Tatyana Patchkova. “This meeting was extremely useful to us because we had the opportunity to talk openly and face-to-face with our president about our problems, and we were looking for working solutions. In addition, we realized how rich and varied FTTUB’s activities for the benefit of the transport workers are. We were also shown the ways in which we ourselves could become more active participants in the work program of this congressional year, with our own ideas and initiatives” – commented the colleagues from” Metropoliten EAD'” . This was the first of a series of meetings – which started in the beginning of the year – betwe en Mrs Yordanova and the FTTUB trade union organizations across the country. The main point of the meetings is to discuss with each organization the key issues and problems they are facing, and to map the measures to be taken.